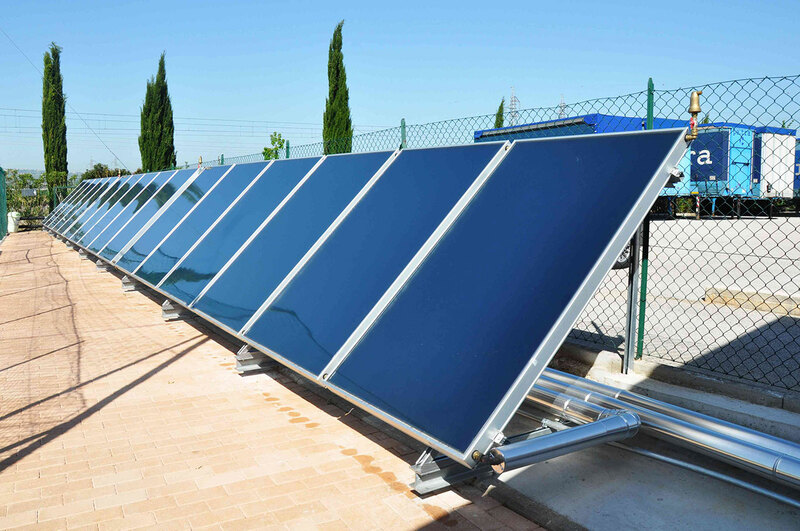 The inertial heat exchange mechanism (International Patent WO 2013069034 A1) allows the domestic water to be heated even several hours after the end of the sunshine. 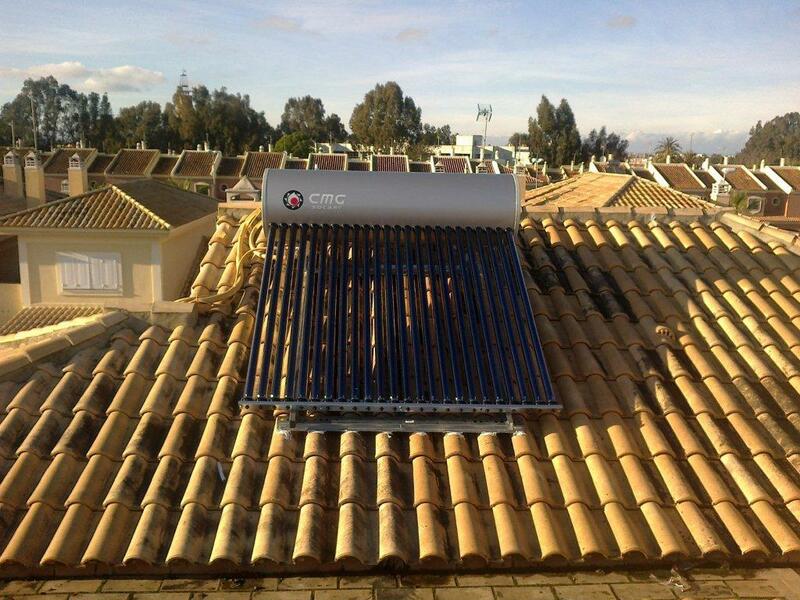 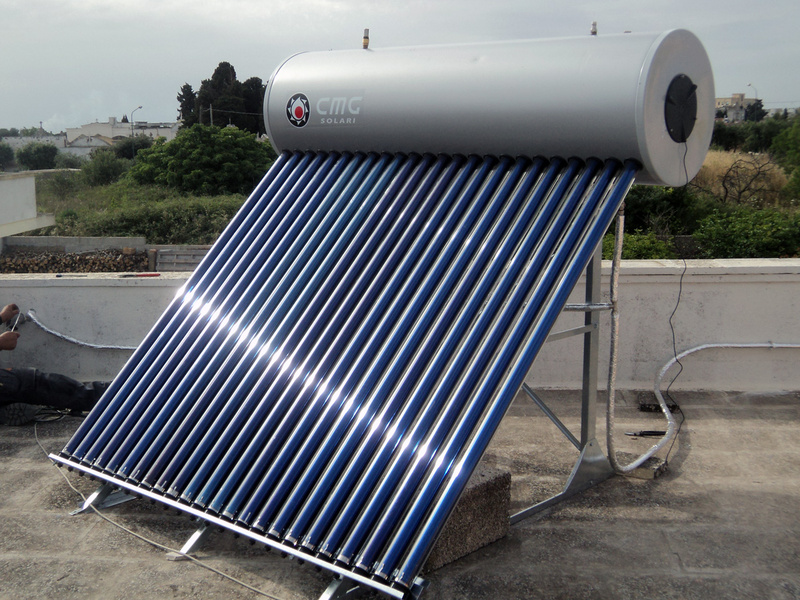 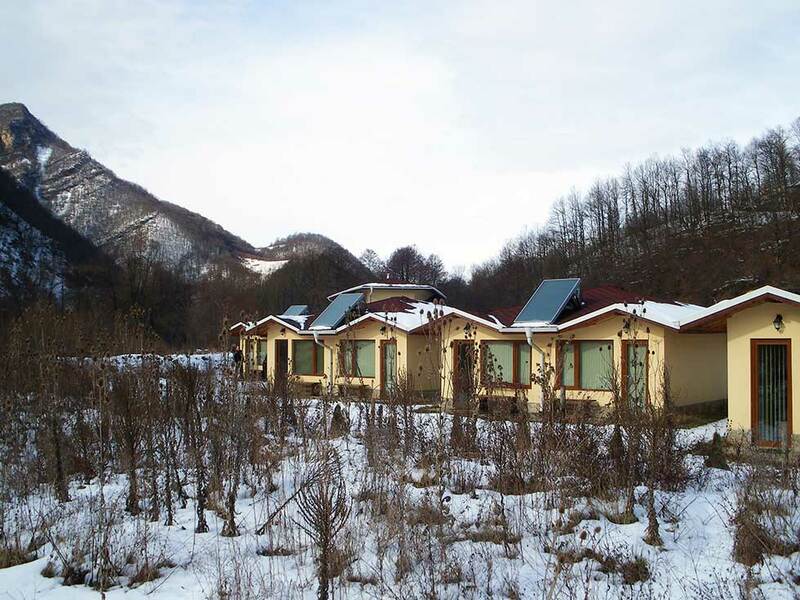 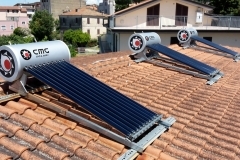 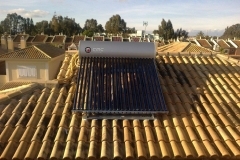 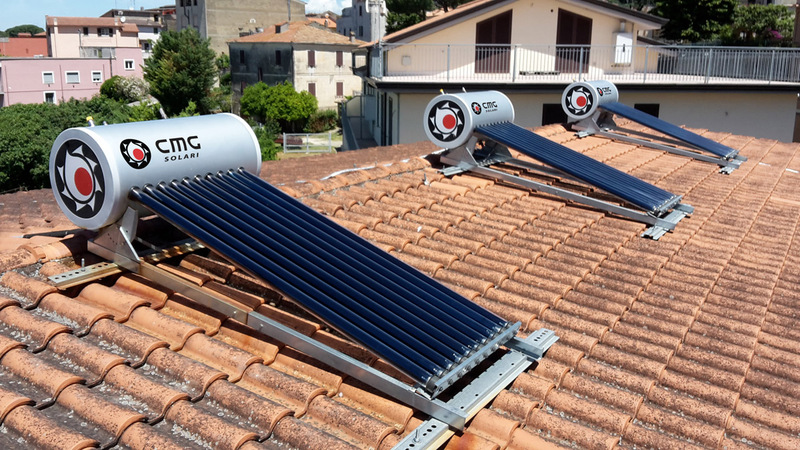 A double circuit with high thermal inertia is able to guarantee maximum absorption of solar radiation and minimum thermal dispersion even in the most unfavorable environmental conditions, such as in winter. 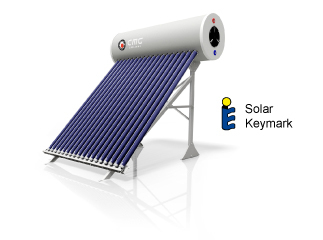 The fluid contained in the vacuum tubes heats up during the day and transmits the heat to the domestic hot water tank. 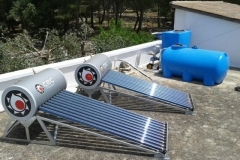 In this phase, the primary circuit is able to accumulate a considerable amount of heat, thus constituting an inertial accumulation, a sort of "heat battery", to which it is possible to access in case of need. 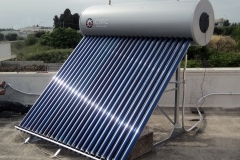 At night, for example, after emptying the tank completely, the system is able to newly heat the cold water, thanks to the energy previously stored in the primary circuit. 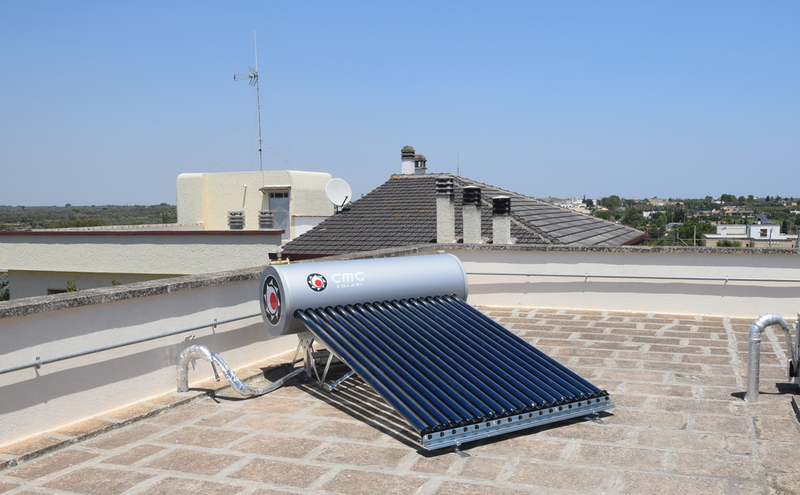 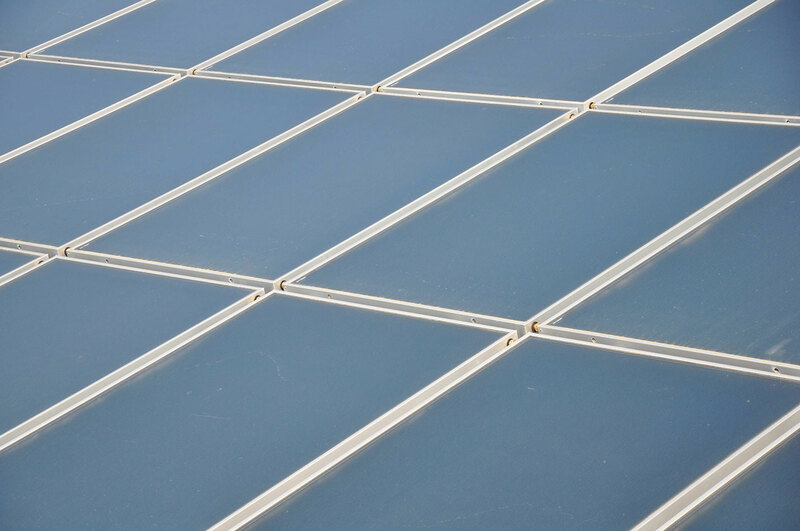 The system is available in the lowered version EQUATOR which, having a height below one meter, is practically invisible on flat roofs. 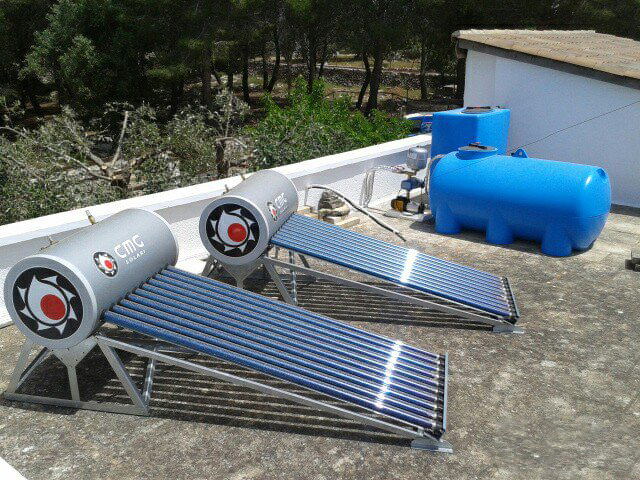 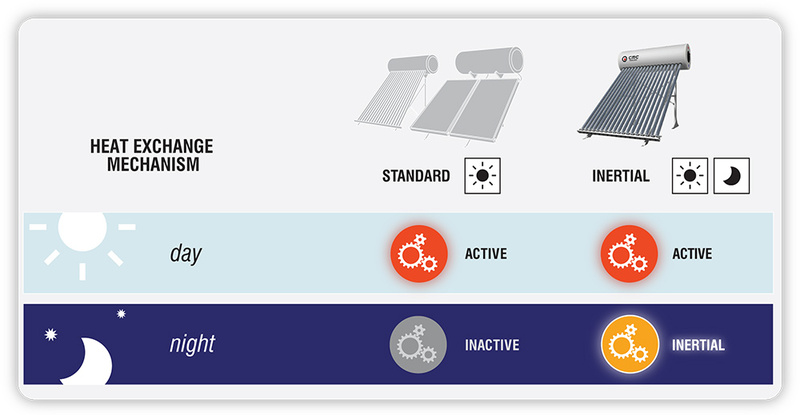 The technological peculiarity is the use of a high inertia heat exchange mechanism (international patent WO 2013069034 A1), characterized by reduced temperature ranges and by a large heat storage capacity, allowing water to be heated even hours later the end of the sunshine.